Yesterday, Catalyst Paper announced the closure of the Crofton kraft pulp mill, a week after shutting the doors at its 350-employee mill in Campbell River and “restructuring” (laying off 127 workers) at its Powell River facility. That’s 850 job losses in basically one shot. It is not the first shot, either, and it definitely won’t be the last at the rate we’re going. We need action on a big scale, coordinated action only the provincial government is in a position to undertake. Piecemeal, community-by-community response will prove inadequate. The rapid decline in North American newsprint consumption is unprecedented,” said Richard Garneau, president and chief executive officer, “and it requires us to focus sharply on cost management as we optimize production across our mills to match capacity with the order book. As devastating as the closures are, they aren’t entirely surprising. Things have been rough at Catalyst for a while: Crofton curtailed production for 30 days in the fall, and the Elk Falls sawdust/containerboard mill near Campbell River closed at the end of November. Reacting to the most recent news, Jim Sinclair, president of the BC Federation of Labour, remarked that we are witnessing the “slow de-industrialization of the province”. For the folks on the Island and in Powell River, of course, it probably does not feel slow, but whatever you want to call the pace of change, the problems are expanding. Contributing close to 40 percent of BC’s exports and 25 percent of our GDP, it is only fair, reasonable and just that British Columbians through their government join hands to assist workers and communities in that sector as it endures bad times. We believe a strong, sustainable forest industry can continue to be a vital component of our economy. That letter contains some very concrete suggestions regarding what the government can do: extend forest workers’ EI coverage, fund retraining, reforest, and assist forest-dependent communities like Crofton with some money to cover tax losses. These are excellent ideas. In the short term, the government must follow through on this. Failure to do so—and the budget sure makes it look like we are headed for a failure to do so—can only suggest that the provincial government has no idea how bad things are, and how much worse they are going to get. The decision reflects the severe impact of a permanent loss of traditional sawdust supply, as well as significant energy and chemical cost inflation, high labour costs and the heavy toll being taken by the uncompetitive major industry municipal tax levied on the Elk Falls mill. In January, Catalyst CEO sent a letter to officials in Powell River, Campbell River, Port Alberni and North Cowichan that threatened mill closure if annual property taxes were not reduced from $23 million to $6 million. The heavy-handedness of this kind bullying may be offensive, but Catalyst’s annual losses show there is no denying that costs have to come down, and unions have been trying to help them do exactly that. The government, in contrast, seems to feel that workers and communities need to eat all the cuts in costs. It apparently has no idea what it is getting itself, and everybody else in the province, into. The provincial forest industry is in freefall, and not just on the coast, of course. Whether it can ever be resurrected in a socially and environmentally acceptable form is a good question, one the province needs to take seriously. What is essential right now is immediate short-term aid to forest-dependent communities, and a provincially-coordinated industrial restructuring with a long-term vision, the capacity to ask big, tough questions, propose a range of creative solutions, and the authority to follow through and work with communities to rebuild. The government must step in to this morass, and do so with some enthusiasm and resources. This may mean taking a significant public stake in forest operations, even “provincializing” aspects of the industry and the coordination of industrial production. These are huge problems, and they call for unprecedented action. If we wait, this one may appear to “go away”, but I’d bet the farm that much bigger ones will have taken their place. 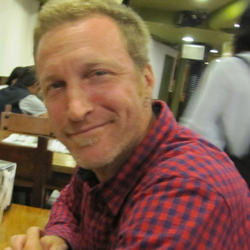 Geoff Mann is Associate Professor of Geography at Simon Fraser University. We deliver timely, progressive commentary on issues that affect British Columbians, including the economy, poverty, inequality, climate change, provincial budgets, taxes, public services, employment and much more. Before commenting, please read our comment policy.